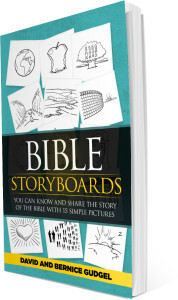 Bible StoryBoards provides 15 pictures that will take you on a journey through the entire Bible. As you read the storyline that goes along with each StoryBoard you will come to understand the bottom line message of what the Bible is all about – God’s relentless pursuit of a relationship with us. We begin with “Beginnings” – the creation of the world as we know it – and end with “New Beginnings” – the new world that God will one day create. 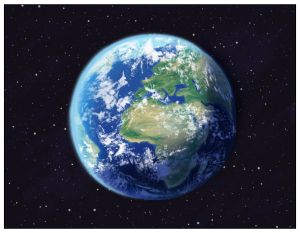 The 13 StoryBoards in between will lead you through the story of God’s efforts and plan to bring us into a loving relationship with Him and each other. You’ll learn about the Children of Israel and Jesus and His disciples, and how they all fit into the amazing story of God’s love for us. And you will also clearly see God’s desire and plan for you! You can read through the detailed version of Bible StoryBoards on our book or IOS app (Android coming soon!). It’s our hope that your time spent on this journey through the Bible will have a life-changing impact on your personal walk with God. 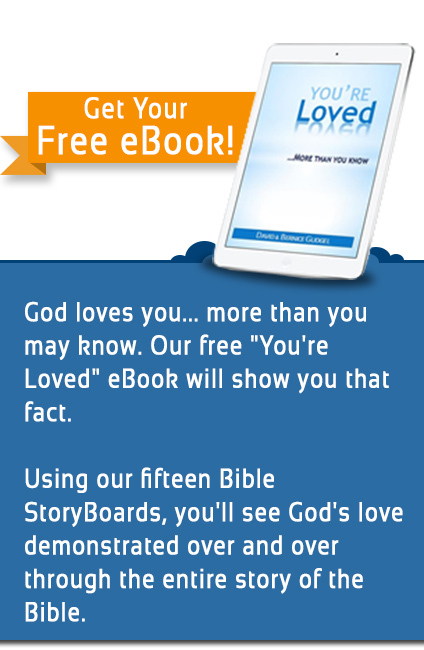 You can get the Bible StoryBoards book or app by clicking on the picture links below.